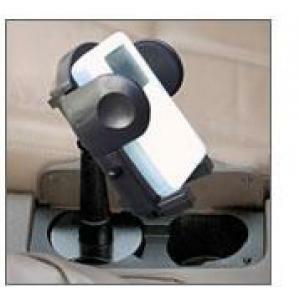 The base of this cupholder mount is adjustable and will fit perfectly and securely to most standard cupholders big or small, offering a secure and convenient location for using your iPod in your car. 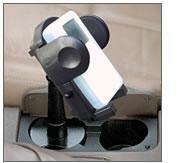 Our cupholder mount also features an adjustable angle cradle for better viewing. The side grips on the cradle are cushioned and simply click closed to hug your iPod securely, and spring open with a press of its quick release button.